The fallout of digital technology and its social applications continues to wash across the communications industry, with many leading advertising agencies starting 2012 with staff reductions while big-name brands like Microsoft and P&G fire hundreds of their marketers. Beneath all of the blather issued in various public statements about “being leaner” and “recognizing the shift to new technologies” is an uglier reality: these businesses are undergoing structural change that is nowhere near complete, and it’s change that few of them understand because they’ve been blinded by their hopes and beliefs about what should be happening. This destructive dichotomy is nowhere more apparent than at the big advertising agencies (at least it is to me). In a sentence, social marketing can’t and never will replace advertising. Most definitions of the word “advertising” describe it as efforts made to inform or persuade action by a group or audience. 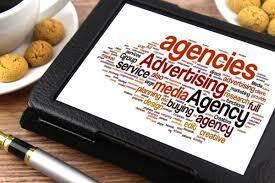 That means that any communications activity for which a company pays money could be considered advertising. Such a definition should include expenditures on social media. New media are tools that require somewhat different uses, but used for the same purpose and targeted on the same goal as old media. Advertising by another name. Only most ad agencies have swallowed whole the premise that social media aren’t commercial speech whatsoever, but rather a new mode of communication that requires substance that doesn’t actively or overtly sell and new measures of how not selling ultimately contributes to selling. Actually, they’ve willingly sold this idea to clients who bought the same evangelism from the digerati. Social media are advertising…it’s just that we’re starting to see the inescapable proof that it’s mostly bad and ineffective advertising that makes it harder to pay the bills even as it thrills its proponents. We’ll see this disconnect become evermore apparent on Sunday’s Super Bowl, as brands and their agency enablers will waste many millions to demonstrate that silly and useless advertising doesn’t get any smarter or useful when its repurposed onto social media platforms. It’s just more expansively bad. While the folks responsible for this nonsense will ardently make the case that views and clicks are the same thing as belief and action, expect more staff firings. Of course, the transformational impact of digital tech is very real, only it has little to do with marketers hatching make-believe theories about branding and everything to do with true peer-to-peer (“P2P”) connectivity. P2P is changing the way public institutions are structure and function, as well as doing the same to corporations, where technology has been changing activities less visible than marketing for many years (supply chain, resource management). The social web is truly reshaping our economy and our world, but the branding campaigns coming from advertising agencies have little to nothing to do with it. Build real communities — The idea that individuals rely on one another for everything from recommendations on purchases to experiences of safety and love is as old as civilization itself, yet online marketers pretend that they came up with the idea only a few years ago. That’s why most online communities they create are low-involvement and transient, and why efforts to up the time people spend with them are the least effective metric of success. Real communities are born to accomplish real things, not “engage with brands,” which presents immense opportunities for brands to re-imagine how they assemble and approach their lists of customers (or would-be customers). It also suggests that agencies might want to consider developing the capacity to identify and sustain communities. Is is too far-fetched to imagine ad agencies as content providers and community managers who offer those benefits to their clients? Outsource skills — The opportunities for finding and benefiting from skills that may not reside within the walls of a company building are huge. Applying the right skills to the right tasks instead of trying to use general skills on all tasks makes economic and, now thanks to digital technology, management sense. Only most agencies are configured to do things they way they want to…proverbial round holes into which the square pegs of every client need must fit. Many of their clients have been reconfiguring toward an outsourced resources model for years, and learning that the key to doing so is to have crystal clear definitions of purpose and approach. So they can’t embrace outsourcing skills until they come to terms with what they’d want to accomplish (see the front of this essay). It’s not a reach to imagine ad agencies as keepers of goals and processes, along with communities, that allow them to custom configure solutions for every client. As the rest of the corporate world has already learned, you never have to fire employees if you never have to hire them. The work might be better, too. Tell clients the truth — Speaking of being keepers of things, this is the hardest but perhaps the most lucrative opportunity for ad agencies. Imagine if agencies were arbiters of truth and not purveyors of entertainment or other time-wasters. They could act as true translators of business strategy and marketing expectations, instead of feeling forced to play to client weaknesses and broker their dreams. So less creative invention and more honest I/O, whether realized through ideas, tech, or people. Agencies could compete (or be ranked by) how successfully they performed this function…measured by size and quality of customer communities, sustainability of relationships over time and, of course, cost and revenue involved in selling to them. It would require that agencies start telling the truth about how to get there, though. Social media aren’t advertising, at least not as currently practiced. P2P is something much, much more. I don’t know if any of my ideas would work, but I’m certain that the current approach isn’t working. It might make sense to try to right the ships before the next round of agency and/or client bloodletting. Copyright © 2019 Durham Home Search. Powered by WordPress. Theme: Accelerate by ThemeGrill.